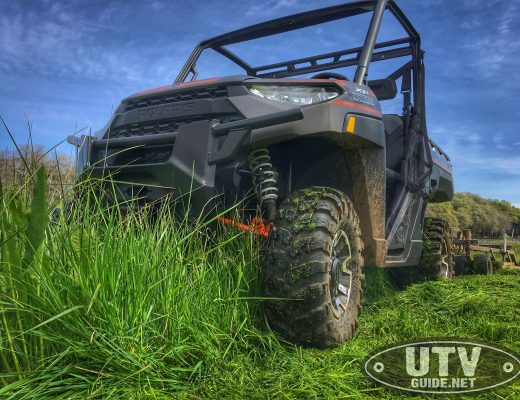 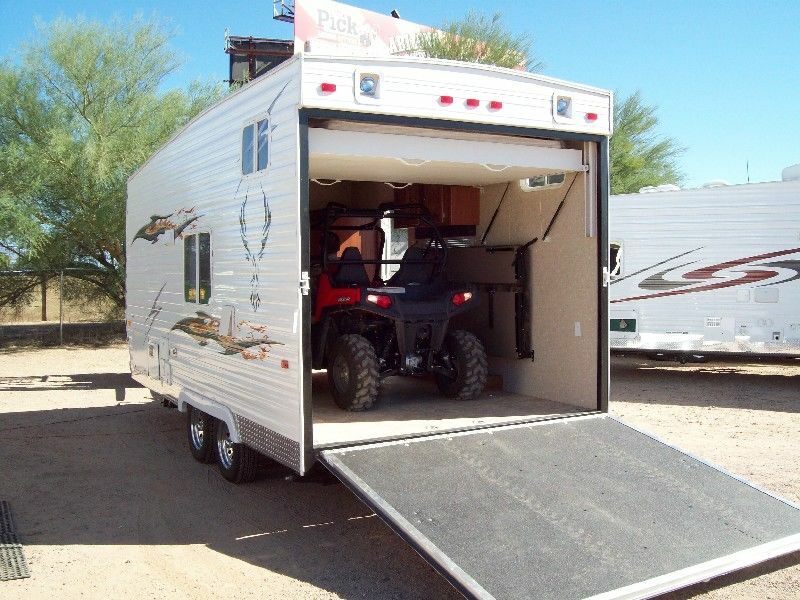 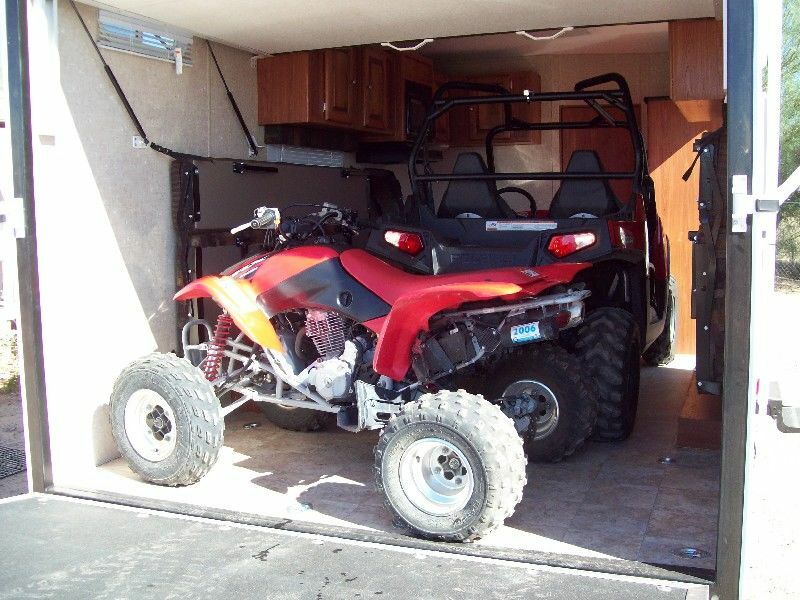 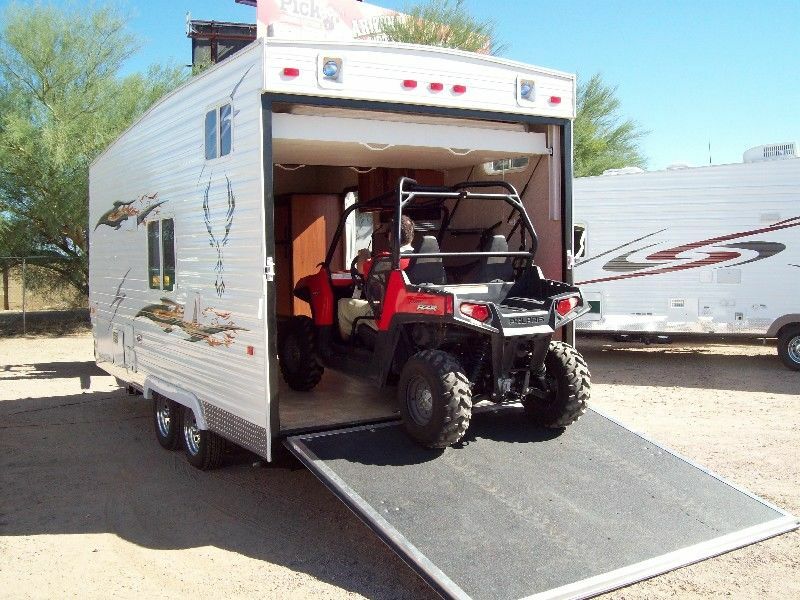 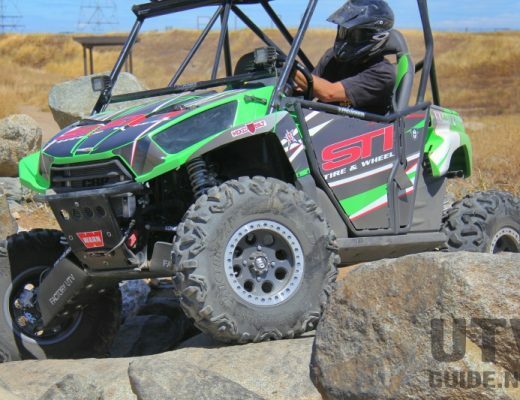 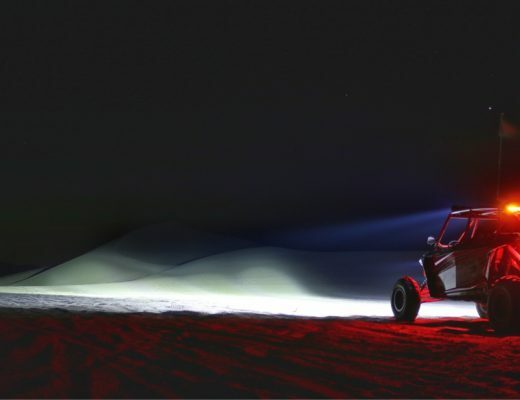 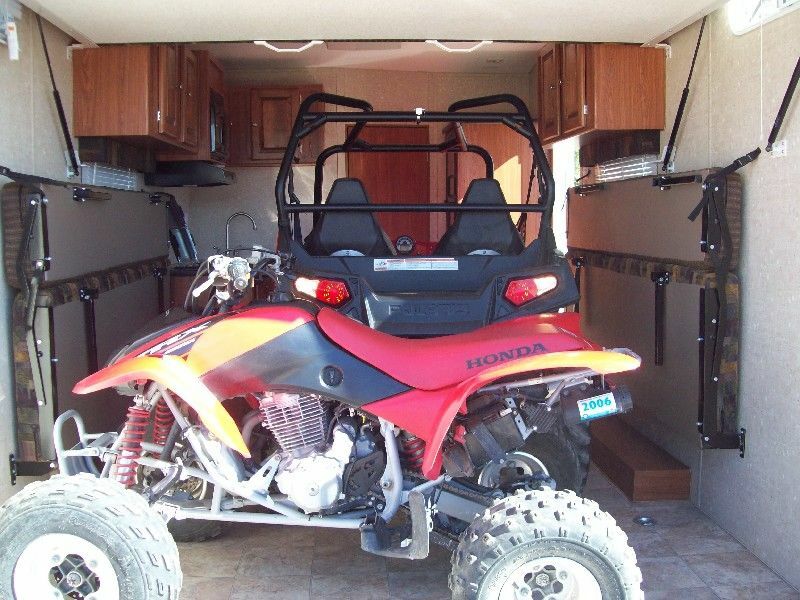 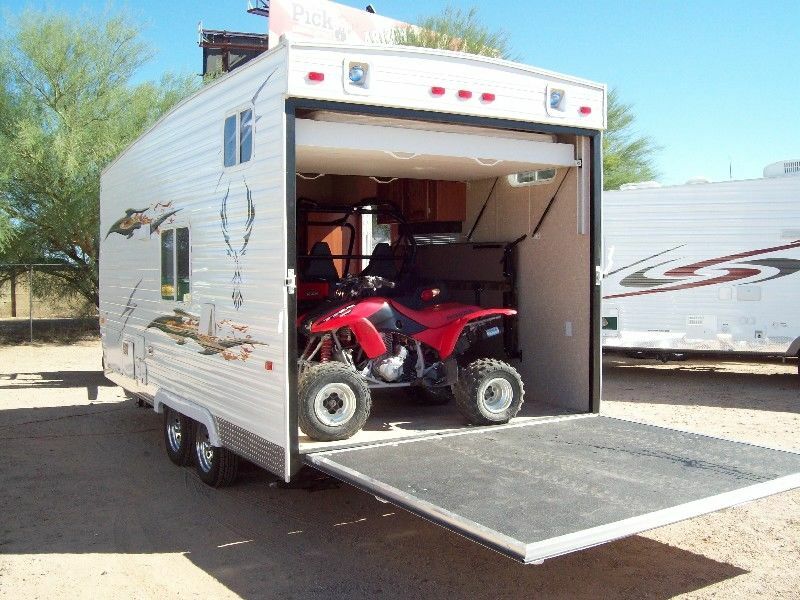 The2009 18 foot PHX Hauler from Dune Sport comes with all the features you need in a toy hauler in a very small package. 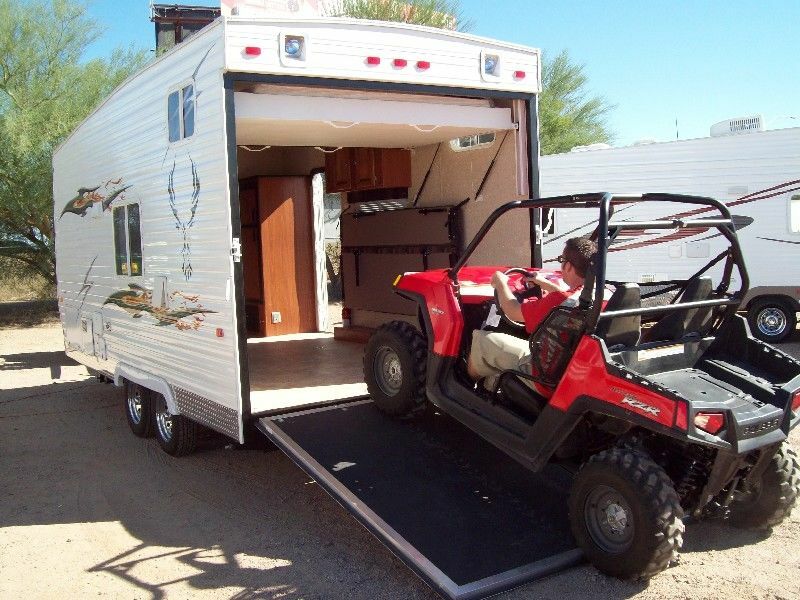 With on overall length of 21 feet and a dry weight of 3900 lbs., the PHX Hauler is very nimble, but still packs in all the amenities you’d expect in a toy hauler. 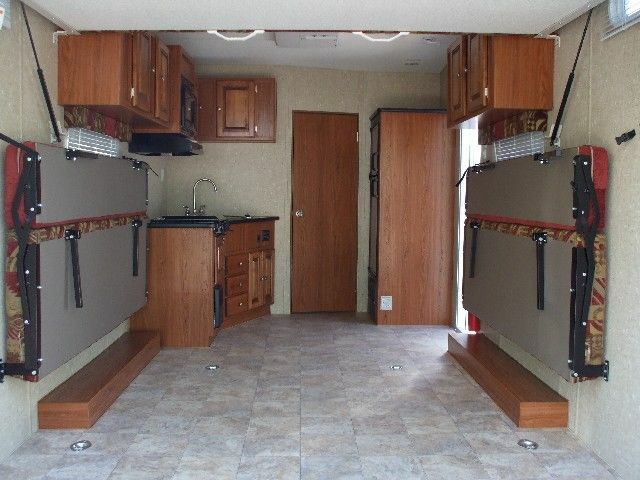 Cargo Area is 113″ to the first cabinet on the left. 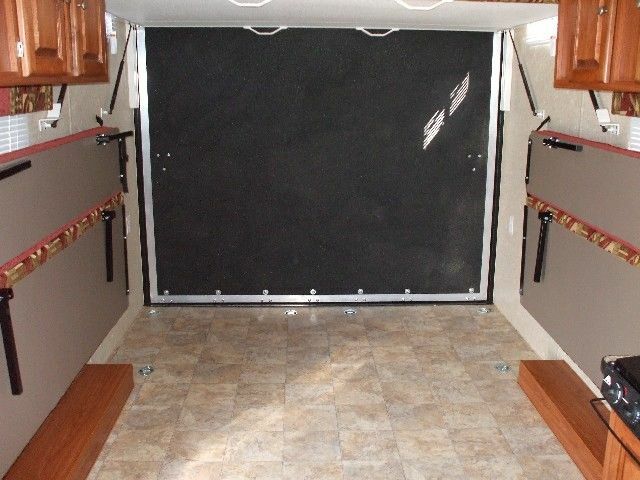 Then once you hit the cabinet, there is 64″ from the cabinet to the wall.